The days here in Sydney are getting cooler and it finally feels like autumn has arrived. I for one am quite looking forward to crisper days and the slow cooked braises and stews that come along with this time of year. 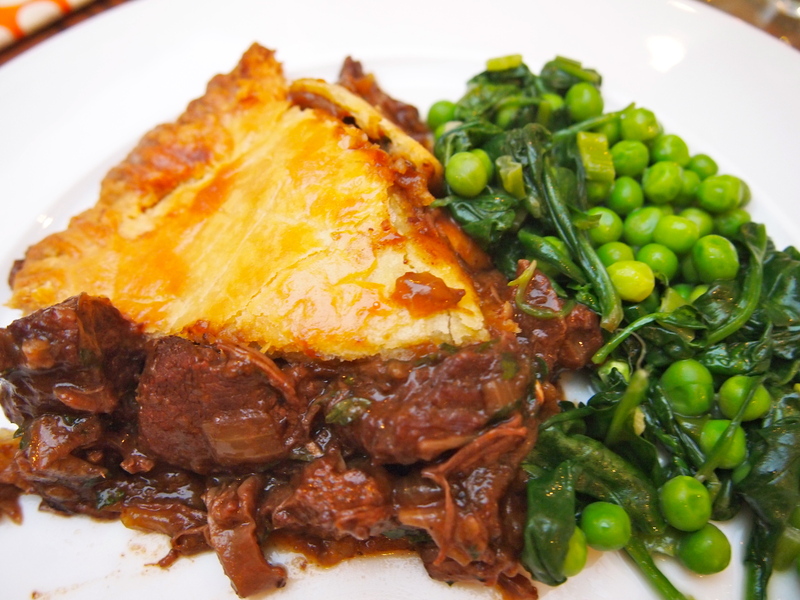 This pie is a great dish to make on a cold and dreary day when you feel like being in the kitchen for a few hours and then sitting down to a warming and hearty meal. Whilst the pie filling takes time to braise it’s not complicated cooking and the sour cream pastry is a cinch to make and a joy to work with. The pastry comes courtesy of Maggie Beer who swears that it’s the only pastry you ever need to use and she may be onto something – especially if it’s a flaky pastry that you’re after which is of course perfect for pies, be they savoury or sweet. The clocks turn back this weekend and I always find it a little exciting on the day this occurs as it really heralds in the new season, but I know a lot of people dread the shortening days so if you need something to cheer you up and remind you that winter does actually have some advantages then this pie will definitely put a smile on your face. To make the pastry, dice the butter, then pulse with the flour in a food processor until the mixture resembles fine breadcrumbs.Add the sour cream and continue to pulse until the dough starts to incorporate into a ball.Wrap the dough in plastic film and refrigerate for at least 30 minutes. 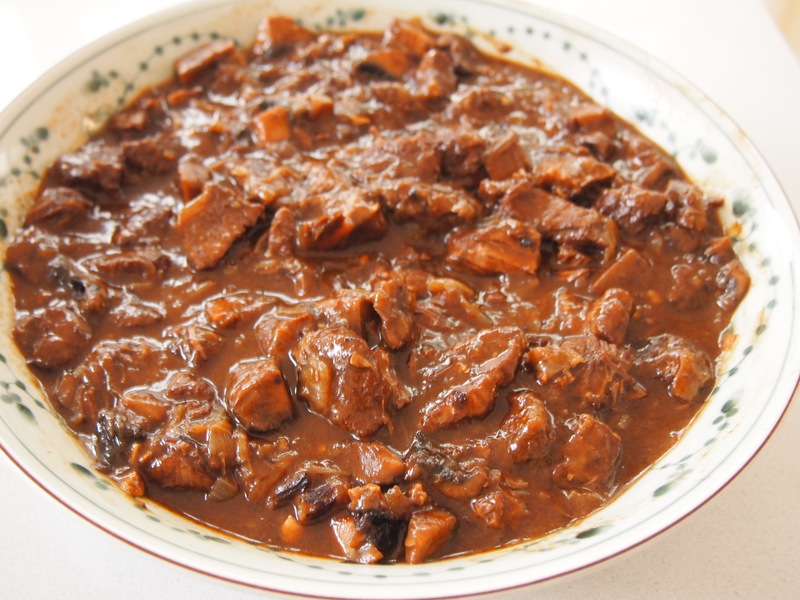 To make the pie filling season the meat well and dust with the flour. Heat a heavy based saucepan or dutch oven over medium heat and add a few tablespoons of oil. 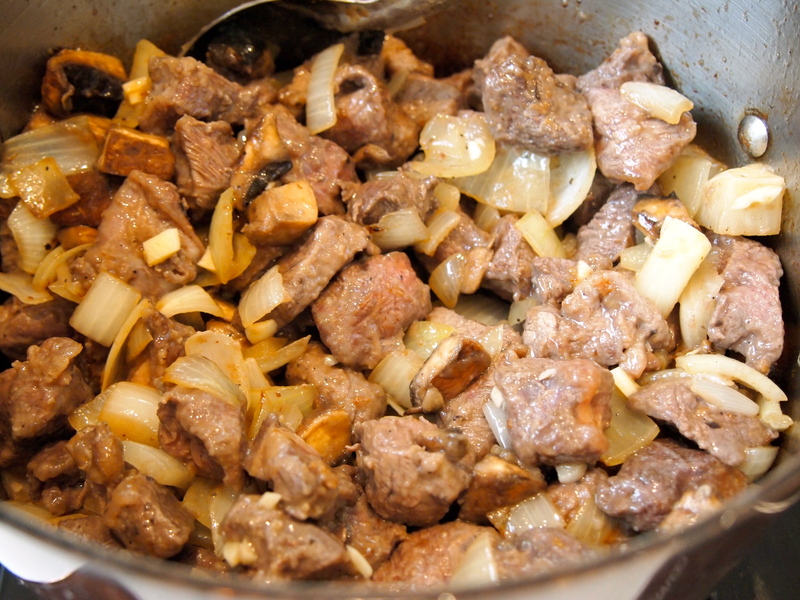 When hot add the meat in batches and cook until well browned on all sides. Remove and repeat with the remaining beef. To the oil left in the pan (add a touch more if you need to) add the mushrooms and sauté until golden, season with salt and pepper and set aside. Add a little more oil to the pan and add the onions along with a large pinch of salt and cook until softened. If the pan runs dry add a splash of water. Add the garlic to the onions and cook for a further 2 minutes. 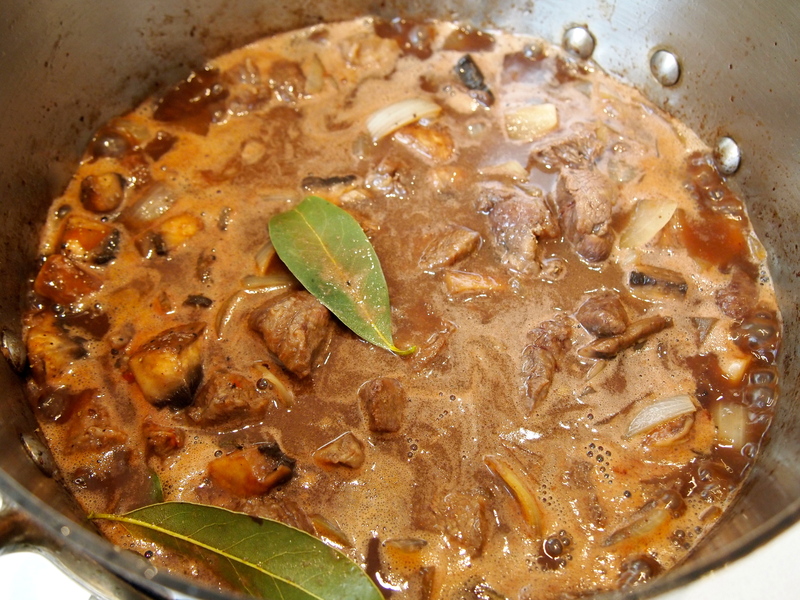 Add the beef and mushrooms back to the pan along with the red wine, stock, worcestershire sauce, tomato paste, bay leaves and a generous pinch of black pepper. The meat should only just be covered with liquid with only the meat tips showing through – if you need more liquid, top off with water. Bring to the boil and once boiling add the 2 tablespoons of extra flour, stir it in well to incorporate it into the liquid. Reduce heat and partially cover the pan and cook over a very low flame for 2 hours; then remove the lid and cook for a further hour. Check the pan regularly and stir the pie filling during the cooking time to ensure it’s not catching. When the meat is fork tender turn off the heat and add the red wine vinegar and parsley. Stir them in well and pour the mixture into a bowl with a large surface area so as it can cool down quickly. To assemble the pie, preheat the oven to 220C and take the pastry out of the fridge. Divide the dough into 2 pieces – one that is 2/3 of the weight of the pastry for the base of the pie and the remaining third for the top. Roll out the larger piece of pastry on a lightly floured surface until 3mm thick and large enough to cover the base and sides of your pie pan. 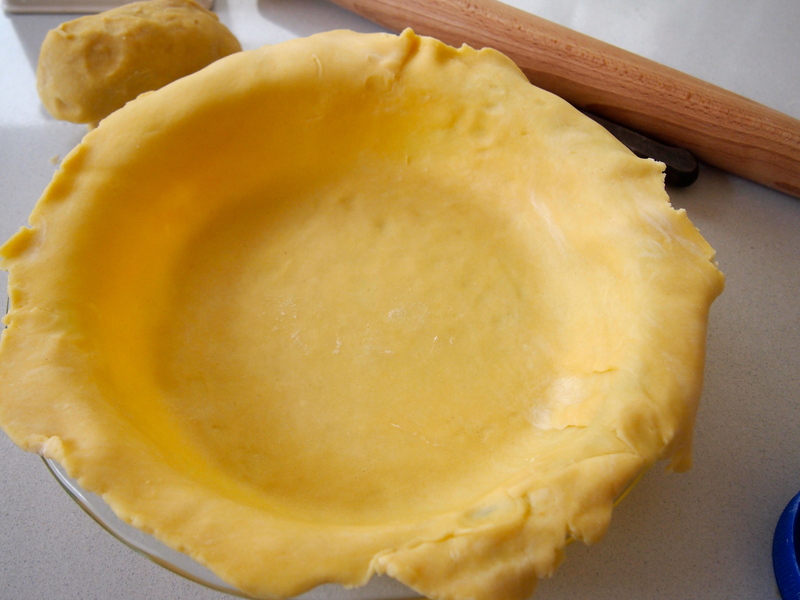 Carefully transfer the pastry to the pie pan and gently press it into the base and sides. Pour the cooled meat mixture into the pastry case. 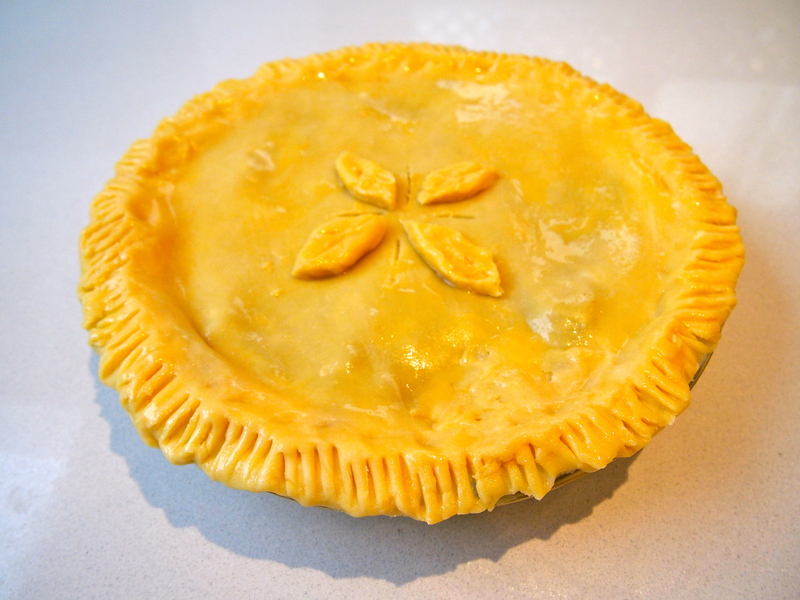 Roll out the smaller piece of pastry to fit the top of the pie pan and place it on top of the meat. 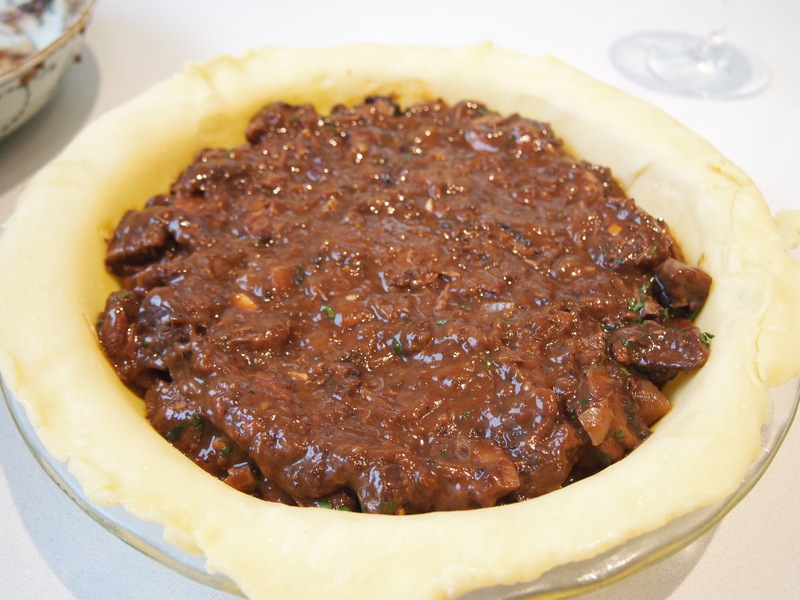 Trim the base and top of the pie pastry to meet nicely and crimp the sides using a fork to form a seal. 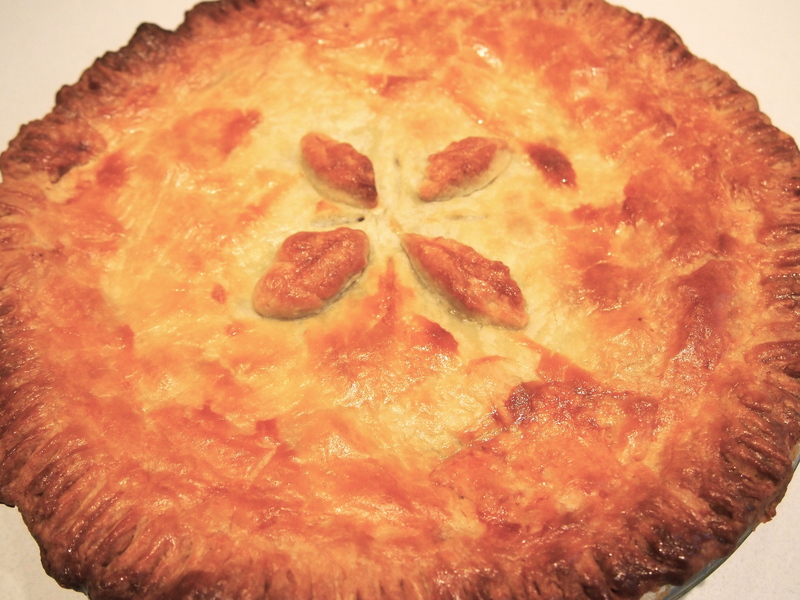 Use any remaining pastry to cut out some decorative leaves and place on top of the pie then make a few small slits in the pastry to allow steam to escape. Brush the pastry with the beaten egg and milk and place in the oven, immediately turning the heat down to 200C and bake for 30 minutes. Let the pie rest for 5 minutes before cutting. Serve with steamed greens such as spinach with peas and leeks. this is definately going on the to-do list this weekend, especially with rain forecast! Looks absolutely scrumptious !